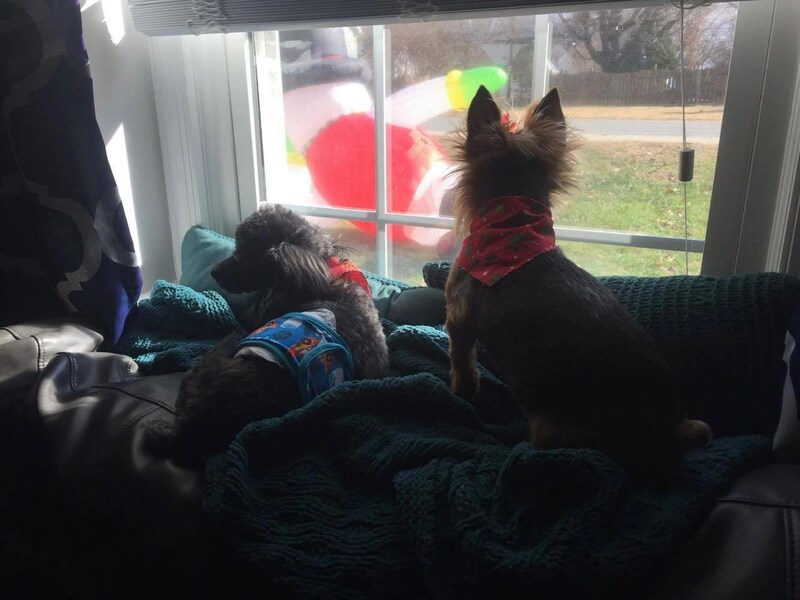 Being in my 30’s and not having any children yet, my fur babies are my world and they are our children for now. Some of my older friends that don’t have children consider their dogs their children and pamper them more than some people do their own kids. I’m going to let you know of some items we spoiled our dogs with this year and maybe some of them will be appealing to you and your four legged family members. The Madison Pet Carrier is something I wish I had a long time ago. Our Yorkie loves to ride in the car and we travel with her often. The only problem is she jumps around barking and going nuts and that can be a bit annoying when you’re trying to drive in traffic. The Madison Pet Carrier is a wonderful product because it keeps her content but yet cozy at the same time. It is very stylish and almost looks like a big expensive purse. It has a removable and washable sherpa fleece that lines the bottom and she can see out of one side and the front side so she doesn’t feel closed in and can still get plenty of air. Its very easy to carry her in this bag and I love that it is so light it doesn’t add any extra weight to the 7 pounds that she weighs. The Twigo Tags are a great idea!! It is a pet tag that you can write your dogs information on and then boil it in water to make it permanent. We actually have an outside dog that roams free so this is great for her just in case she roams too far. They are also silent so you won’t hear any jingles from the metal touching. We loved the silencer pocket because it allowed us to place the tag directly over our dogs rabies tag! We placed our phone number on the back of it and also the fact that our dog is allergic to any dairy products. If you have pets of your own that stay inside then you know that the struggle is real when its raining! We are constantly wasting paper towels and clean laundry towels to keep our pets feet dry when it is wet outside. The Jelly Wellies Doggie Boots are an amazing new product! I must say it was hysterical the first time we tried these on our dogs and they were very confused at what was going on. Since using them a few times they have gotten used to the fact that they have to put them on before going out when it is raining. They are very easy to put on because the opening is wide and then you can velcro them down so they fit tight and stay on. I love the fact that I can just take them off and they are free to go without the struggle of trying to dry their feet by hand and getting growled at. 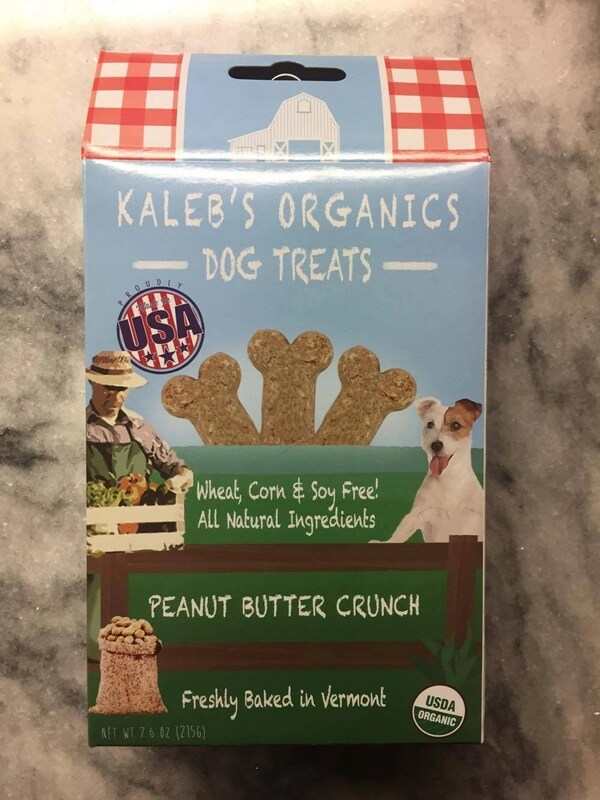 If you’re in the market for a dog treat that is organic and made with all natural ingredients, then Kaleb’s Organics for Dogs is a great choice. The are made in the USA, and are wheat, corn, and soy free. I know I have tried many treats for my dogs and after cleaning up many messes I am picky at what I give them. We have stuck to honey nut cheerios for a while now, but after trying these we both are happy! One of our dogs suffers from anxiety attacks whenever we leave her if we have to go out of town. 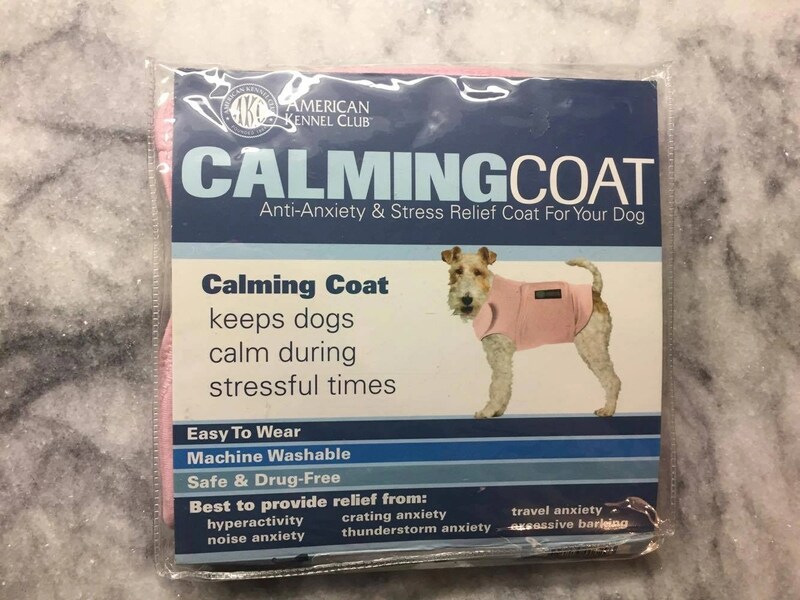 The AKC Calming Coat keeps your dogs cool and calm during any situations like this. Although we have not been out of town since we got the coat we tried it during a thunder storm and it actually worked for her. She hates storms and always wants to you to hold her when it is thundering. This coat was easy to put on and she was playing with her toys and didn’t pay any attention to the storm. We look forward to using this the next time we go out of town. 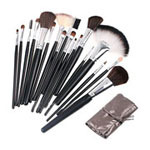 If you only get one of these products it should bring a smile to your and your pets face! I intend on keeping these in mind for stocking stuffers for my families pets in the future. 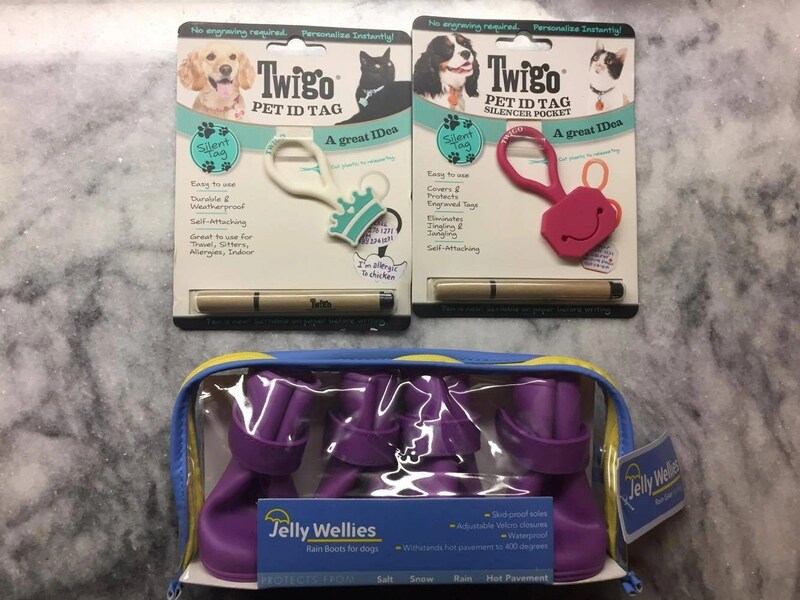 If you’re interested in the Twigo pet tags you can use the code bowwow for $2 off and free shipping. Connect with A Pet With Paws on Facebook and Twitter. 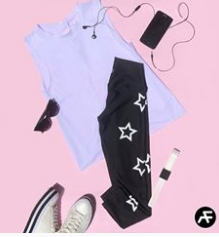 Connect with Twigo Tags on Facebook and Twitter.